Staredit Network > Forums > SC1 Map Showcase > Topic: Cat and Mouse Highway! Player Forces: Players 1-6 are Mouse when Player 8 is Cat (optional). If there is no Player 8, the game randomizes one of the remaining Players 1-6 to be Cat. Player 7 is Neutral. A full house yields 6v1, 6 Mouse Players vs 1 Cat Player. But now, the battle takes place near an 8-Lane Highway!!! Countless seasons have passed since the cats and mice first waged war. First it was Space, then it was Jungle, Winter, Ore Wars, Fireworld, Desert, City, Pylon, and many other places too many to name. Now, the times have changed. Fewer and fewer cats and mice battles are being fought, maybe because they are getting sick of fighting each other knowing that there are seemlingly endless amounts of them. Either way nowadays, some battles are fought, mainly in Jungle, but a new battleground has emerged! Partly because the cats and mice want a new map to settle their dispute. That is... the 8-Lane Highway! Or Freeway where ever you're from. This time, the Cats and Mice can use the advantage of the Highway to fight each other and perhaps... END THE WAR ONCE AND FOR ALL! - This is just like you average CnM map, but with a twist: The Highway! - The highway is where cars (Flying units, Neutral Player 7) come and go... and instantly kill anything in its path wtihout stopping! - This includes all units from Mice, and all units from Cats! So be careful when crossing the highway! - The highway splits the battleground into two play areas, Top and Bottom! - If a Mouse dies at Top, the Mouse will be held captured at Top! Same with Bottom! - If the Cats lose all their lives and Cats, the Cat Player lose! - But if the Cats catch all the Mice, the Mice Team lose! 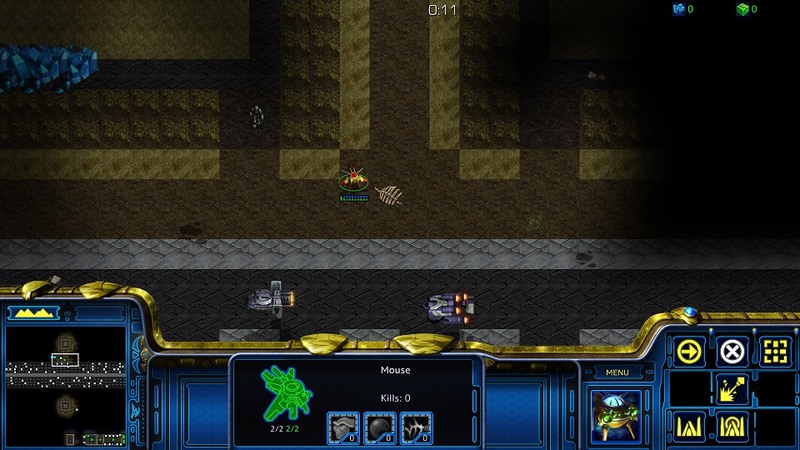 - When a Cat catches a Mouse, the Cat Player will receive 1 Gas! - The Gas is used to buy units from bottom! - Or the Cat Player can convert 1 Gas into 100 Minerals! and vice versa! - Cats have spells and upgrades! Which both cost minerals! - Overtime, the Cat Player receives minerals. - And there is feeding for Cats! You can see the whole feeding list in the Mission Briefing! - On top of this, 10 kills for Cats = 20 minerals! - So Mice, be careful how much you build! - Also, there are bonuses in the game! Like saving gives you 100 minerals! Other than that, Map Design and Triggers by: Yours, truly... CEROREC! Thanks to all my testers and players! In addition to SC Nibbits, I uploaded the map already to Staredit.net! IN ADDITION! I'll attached the map to this post! So there are 3+ ways to download this map! This is what the game looks like when you start the game. You first get to choose where you spawn since there are two areas, Top and Bottom. Select your Mouse (probe) and go to the top Dirt area to spawn Top, or go to the bottom Dirt area to spawn Bottom. Mice gets 60 game seconds to choose and start the game. If a Mouse doesn't choose and waits until the timer is over, the Mouse will be randomed into an area! This Mice Selecting Area is also used for other things like buying 800 minerals to spawn a Chooser (Dark Templar Hero) at this area to either save Top or Bottom, and more can be bought and stacked up in this area! When the game starts out for Cats (which is Player 8 and optional), the Cats have to wait 60 seconds for the Mice. After 60 game seconds, the Cats have 30 seconds to choose an area, top or bottom, just like Mice. If the timer runs out, each Cat will be randomed into an area! So basically the Cats are free after 60 seconds, if the Cats chooses fast! This Cat Selecting Area is also used for other things like spells and respawn of Cats. This is what the Highway looks like in action (minimap). The Highway is active 24/7 until the game is over. There are four types of cars, Super Car (Valkyrie), Muscle Car (Tom Kazansky), Compact Car (Mojo), and Minivan (Dropship). These cars spawn randomly in the Highway and uses 1 Location that kills anything (except Player 7) to center on the cars. Just like Bound/Dodge maps, these air units controlled by Neutral Player 7 instantly kills all Mice and Cats units, including the Mice and Cats themselves. The same thing happens to Cats, so be careful when crossing the Highway! No worries, the Cats have nine lives, so when one dies, another Cat appears at the TopBottom Selecting Area and gets to choose where to spawn, Top or Bottom! with a 30 game second timer. Optional Cat System: Just like popular CnM maps like CnM Jungle edited by beBoy, this system randomizes a player to be Cat when there isn't a Player 8 Cat, and the rest Mice. Anti-Backstabbing System: This is where the game does something when a Mouse kills another Mouse. In early game (elapsed time of at most 399 game seconds), the backstabber Mouse gets banned instantly, all units converted to the backstabbee (included Mouse), and end game. In later game (at least 400 game seconds), the backstabber Mouse gets a 2nd Chance, and the backstabbee is spawned in the middle of the Highway invincible for some time. If the backstabber backstabs a Mouse again, the same scenario happens like the early game, banned, converted, and end game. Anti-Early Cat Leaving System: This prevents the game from ending early when a troll Cat Player leaves the game when the game starts. This is only active during the countdown timer stage where Cats and Mice have to choose an area. After this time, if the Cat Player leaves when the Cats are in the battle field, the game will end, leaving the Mice to win the game. So, what happens is that if a Cat Player leaves early, the game will randomize another player from Mice side to be Cat, removing all of the Mice units of that chosen player and created the Cats units. This will continue until there is 1 Player left. Stacking System for Mice: The Mice can stack! Which means they can "turn the lights out" and start "stacking" buildings on top of each other! Banning System: The Mice team can ban a Mouse! But it takes three Mouse to ban! Bonus Crystal System: Every now and then, a crystal (Khalis, Khaydarin, or Uraj) will appear randomly in the center of the Highway for bonus minerals. The Mouse Player will have to play frogger and CnM Crystal Wars to obtain bonus minerals from the crystal. The Cat Player can obtain bonuses from these crystals too, just by touching them! The Khalis gives 50 minerals to a Mouse, 25 to Cats, Khaydarin gives 200 to a Mouse, 100 to Cats, and 500 to a Mouse, 250 to Cats! As of V1.1. 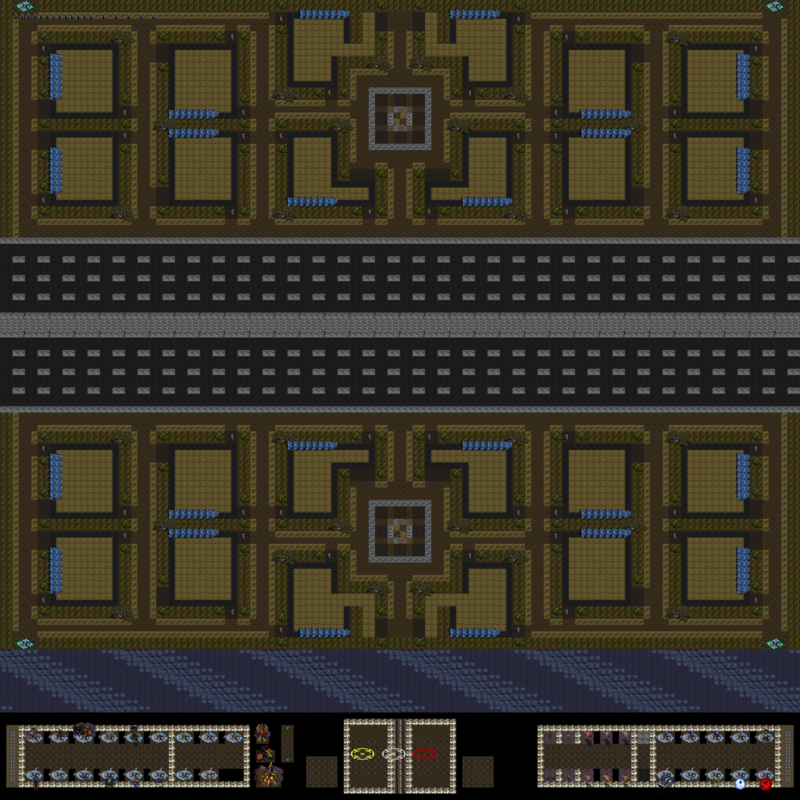 The reason why I added something like this to the game was because I wanted more interesting interactivity with the players and the Highway. Cat Feeding System: The Cats can get fed from certain units from Mice! The full feeding list can be found in the Mission Objectives... and here! In Addition to this list, A Mouse feeds Cats 1 Gas, and 25 Minerals! AFK/Observer Mode: When a Mouse is captured, the Mouse Player can enter AFK/Observer Mode by taking his/her own Chooser and going to his/her Ban Area to activate. This will remove the Flag from the battle field having the Mouse unable to be saved, until the Player turns off AFK/Observer Mode by going to his/her same Banning Area. And Possibly More that I couldn't think of yet! After Blizzard's revival of the Starcraft Brood War game with their 1.18 patch release, I came back to Starcraft last year in 2017 and started re living the past and nostalgia. It was absolutely nostalgic and surreal that a company would go back to their 1998 game, work on remastering it, and revive the community. A large community, well not too large, came after, and Cat and Mouse became relevant again. People were gaming Cat and Mouse, and USWest and USEast became alive again, which died some time ago when virtually 0 people were on. This even caught the attention of beBoy, who also updated his CnM Jungle map in his forums, and me also, who was a big advocate and enthusiast of Cat and Mouse back in the day who played pretty much Cat and Mouse mostly in Starcraft, even today. So, sometime during Summer 2017 I started playing a bunch of rare and obscure Cat and Mouse maps, and many were actually unplayable and broken, which I ended up fixing. This lead me to "editing" and enhancing some Cat and Mouse Maps, and the biggest one was Cat and Mouse City by GuthixWarrior with my VX1.0, which can be found on SC Nibbits. I was a map maker before. In 2009 I created Cat and Mouse Winter Maze under the name Wizzmarine, which nobody knew that I, Cerorec who hosted it, created the game, until now. After Blizzard's release of Remastered, the great programming abilities that I've learned, the encouragement from other new 2017 CnM maps out there that were released like Lifebot's CnM Legends, and the great reception I had of my edits, I was extremely compelled to make another Cat and Mouse map from scratch, as it was fun to do and I wanted to make a new CnM Map for Remastered. Now, there were hundreds of Cat and Mouse versions out there believe it or not, and I didn't want to make another generic same ol CnM Map, but something a little different than the rest. One that came to my mind was, "How about Cat and Mouse in the Highway?" And so the project began in Late Summer of 2017, where it took me a month to finish (breaks included) and release version Alpha.1 on September 4, 2017. I quickly worked my way up to Beta couples days later up to Beta.8 in September 10, 2017, then I quit playing for awhile because School came in, more specifically I was back in University on September 1. Working on my map was really time consuming, brain consuming, so I wanted to take a break from that and focus my mind else where to like school, and it was not until after spring semester of 2018 I came back to Starcraft this summer 2018 and started working on my Beta.8, to Beta.9, 9b, 9c, 9d, and finally... V1.0 and V1.1. So there you have it, Cat and Mouse Highway, by me Cerorec. - Finalized V1.0 of the game from Beta 0.9d, and released! - Changed Meltdown from 600 to 1000. - Increased delay on Meltdown. - Removed "How to Play" section in Mission Briefing as to takes too long. Probably will add it in game sometime later. - Decreased time on Mission Briefing. - Made the Mission Briefings shorter yet again to just Credits and Change Log. - Changed all of Cats Upgrade Factor from 1 to 2. - Decreased Upgr. Damage of Mouse Ninja (Dark Templar) from 3 to 2. - Decreased Cost of I'm Da Bomb (Scarab) from 150 to 50 minerals. - Made Cat Medic spawn with 150 energy instead of 50. - Increased Cost of Temp. Mice Revealer from 50 to 100 minerals. - Increased Cost of Temp. Teleporters from 150 to 200 minerals. - Increased Cost of Destroy All Buildings from 250 to 400 minerals. - Increased Cost of Take Money Away from 150 to 300 minerals. - Increased Hard Mouse Hole Armor from 12 to 14. - Made Mission Briefings slightly shorter. Sigh... afkers these days. - Added bushes and trees for decoration. - Fixed bug message not displaying sometimes when Randomizing another Cat Player. - Fixed bug where Cat's Observator (Observer) would get teleported. - Added Bonus Racing Game! And with that, I had to disable Vulture upgrades and ability. - Increased damage of Boogie Car (Vulture) from 7 to 9. - Simplified Meltdown on messages. - Changed a little on Overload on Mice Selecting Area. - Added Temp. Anti Camping for Mice! - Added Temp. Disable Jailguards for Mice! - Hit String maximum usage, so I had to simplify some comments. - Remodeled the Crystal messages and removed the 11-12 return spaces. - Fixed typo at Mission Objectives. 9 Lives not 10. - Increased cost of Mouse Gunner (Marine) from 20 to 40. - Decreased armor of Mouse Gunner (Marine) from 1 to 0. - Increased damage of Boogie Car (Vulture) from 9 to 10. - Fixed typo of Missile Cheese, was previously "Missle Cheese". - Increased damage of Missile Cheese (Turret) from 20 to 25. - Mean Flying Squirrel (Matriarch) can now use Infestation. - Increased time for all Cat Upgrades by 1. - Increased cost for all Cat Upgrades by 2. - Increased delay of giving minerals to Cat by x1.25. - Increased damage of Chipper (Corsair) from 4 to 6. - Increased armor of Hard Mouse Hole (Civilian) from 14 to 15. - Increased damage of Cat Trapper (Ghost) from 8 to 10. - Increased armor of Cat Trapper (Ghost) from 0 to 2. - Decreased cost of Cat Trapper (Ghost) from 180 to 140, and 150 to 115 from Colby Cheese (Barracks). - Increased damage of Mouse Flamethrower (Firebat) from 2 (4) to 3 (6). - Increased the size of the Location for "CatsnMice Selector". - Forgot to switch my Mouse Tank (Siege Tank) HP, it is now 30. - Forgot to switch countdown timer for Cats, it is now 30 game seconds. - Modifed centering screen for Cats going to Top or Bottom. This should only happen 1 time now. - Also, added more pings for Cats going to Top or Bottom. - Fixed vision problem some people may have when they don't hotkey their zealot. - Increased siege damage of Mouse Tank (Siege Tank) from 16 to 25. - Increased damage of Chipper (Corsair) from 6 to 7. - Increased HP of Bee Hive (Carrier) from 30 to 60. - Increased shield of Bee Hive (Carrier) from 30 to 60. - Increased damage of Bee (Interceptor) from 1 to 2. - Increased Upgr. damage of Bee (Interceptor) from 1 to 2. - Increased damage of Mouse Cannon (Dragoon) from 7 to 9. - Decreased HP of Balloon Support (Magellan) from 500 to 450. - Increased cost of Mouse Gunner (Marine) from 40 to 50. - Increased air damage of Mecha Mouse X1 (Goliath) from 6 (12) to 8 (16). - Decreased armor of Cat Medic (Medic) from 20 to 17. - By making Choosers more epic, I shortened the selecting area, tweak the 200 min giver and stacking area, and change roles of Fenix and Dark Templar Hero. - Fixed minor bug of 200 min giver getting removed at other areas. - Fixed minor bug of P12 The Pickler (Gui Montag) and Jailguard Disabler (Fenix) not being removed. - Replaced and deleted a wav file "Road Killing" by the louder version to reduce size of map. - Set Mission Objectives elsewhere in Mission Briefings, and more editing. - Added countdown message for Bonus Racing game. - Converted most of Player 7 units at bottom to Player 12 so that Cat can unally Player 7. 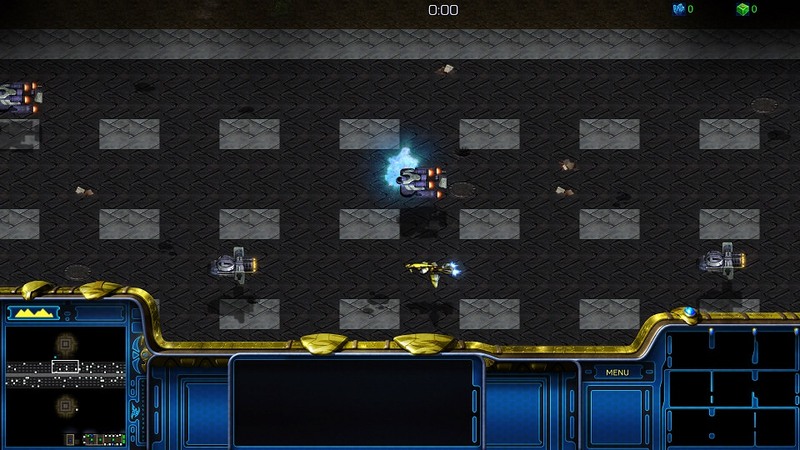 - Increased plasma shield for blocking Protoss buildings by x1.5. - Decreased cost of Im Da Bomb (Scarab) from 50 to 25. - Increased cost of Destroyer (Battlecruiser) from 600 to 750, and from 525 to 650 from Starport. - Increased cost of Mouse Ninja (Dark Templar) from 300 to 325. - Increased damage of Chipper (Corsair) from 7 to 9. - Increased cost of Yamato upgrade from 150 to 1400. - Increased Yamato energy cost from 100 to 200. - Increased timer of Yamato upgrade from 80 to 200. - Increased cost of Destroy All Buildings from 400 to 450. - Increased cost of Take Mice Money Away from 300 to 350. - Increased cost of Meltdown All in an Area from 1000 to 1200. - Fixed bug of Cat spawning message to Mice not sometimes being displayed. - Changed all "at most, 0" to "exactly, 0" to avoid any potential game breaking bugs. - Increased damage of Mouse (Probe) from 15 to 25. - Double all cost of unit ability upgrades for Mice, except Tank Siege Mode which now cost 150. - Increased energy cost of Hallucination from 125 to 150. - Decreased energy cost of Feedback from 75 to 50. - Decreased damage of Chipper (Corsair) from 9 to 7. Lol. - Decreased HP of Bee Hive (Carrier) from 60 to 40, same with plasma shield. - Decreased siege damage of Mouse Tank (Siege Tank) from 25 to 22. - Reversed the life of Caterpillar (Reaver), its now 90 plasma shield and 10 HP. - Scarab Damage is now upgradeable up to 30 max instead of 10. - Decreased energy cost of EMP Shockwave from 75 to 50. - Decreased gas cost of Cat Medic (Medic) from 2 to 1. - Because of that, I decreased the HP of Cat Medic from 600 to 500. - Decreased damage of Mouse Gunner (Marine) from 5 to 4. See the Latest Change Log below! This map will probably have updates, so stay tuned for changes and newer versions! Have any suggestions/bug reports/comments please leave below! Have Fun with My Map! Cat and Mouse Highway! Post has been edited 14 time(s), last time on Jul 26 2018, 12:38 am by Cerorec. - Fixed typo on stacking area message to Mice. DT not Zealot. - Fixed bug on Racing game when someone leaves during racing, and given to another player. - Decreased timer on Yamato upgrade from 200 to 150. - Replaced sound for getting banned with GTFO sound effect. - Implemented anti-trolling measures when a mouse kills civilians early game. - Implemented anti-trolling measures when a mouse stacks Nexus for feeding cat. - Implemented 2-player banning where there are only 3 Mice players in game. - Fixed typo of Mean Flea (Broodling). It's not "Mean Fleas" anymore. - Increased HP of Mean Flea (Broodling) from 20 to 25. - Changed name of Infested Ant Nest to just Ant Nest (Infested CC). - Changed cost of Destroyer (Battlecruiser) from 750 to 650, and from 650 to 600 from building. - Increased timer of all Cat's upgrade from 16 to 19 except Air Attacks and Missle Attacks. - Fixed lots of situational and rare (but not all) bug on Cat's Ability messages towards Mice sometimes not appearing. - Fixed situational bug where a Mouse sometimes doesn't get bonus for saving. 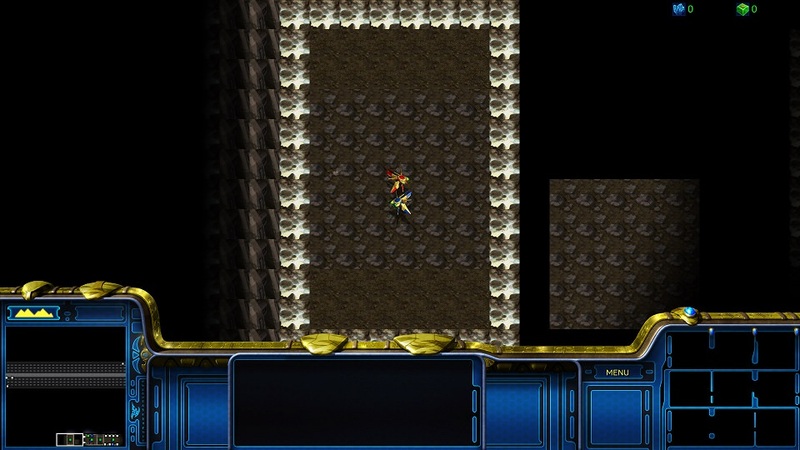 - Implemented giving 10000 minerals to a Mouse if have enough. - Made giving minerals to Mouse much better by moving Scourge instead of removing! - Decreased HP of Bat (Devourer) from 400 to 300. - Implemented compensation for Mice when Cat kills certain numbers of Mouse. - Decreased Cat's attack from 10 to 8. - Increased Baby Cat's attack from 3 to 4. - Decreased armor of Hard Mouse Hole (Civilian) from 15 to 13. - Removed Change Log Message at Mission Briefing to save some strings. - Changed timer of Credit Message at Mission Briefing from 12000 to 14000. - Decreased cost of Baby Cat from 4 to 3. - Increased armor of Bee Hive (Carrier) from 2 to 5. - Increased armor of Destroyer (Battlecruiser) from 0 to 5. - Fixed V2.1 bug where Dead Mouse gets constant spam of text when Kill all Buildings is used. - Implemented replenish energy pool for Cat Medic at save areas. - Implemented compensation for Cats when Mouse gets a certain number of Min or units. 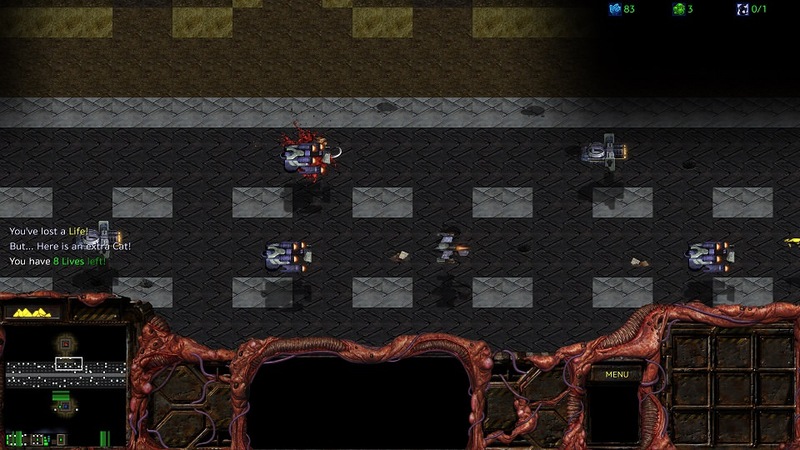 - Implemented ability for Cat Carrier (Overlord and Ygg) to drop a Temp. Mean Flea over time, having 2 Cat Carrier Max. - Decreased armor of Spider (Lurker) from 7 to 5. - Fixed V2.2 bug where Brown doesn't get minerals from other players. - Fixed bug where when a Mouse player leaves, a dead Mouse may get its units. - Decreased armor of Cat Carrier (Overlord and Yg) from 10 to 5. - Increased energy cost of Spawn Broodlings from 125 to 150. - Added compensation for Mice when saving late game, and dead Mouse getting head start late game. Post has been edited 3 time(s), last time on Jul 26 2018, 12:38 am by Cerorec.